Oh goodie! There's finally a sparkle (that isn't snow – ugh) in Spring! Ooooh! Let&apos;s look what I found buried under a pile of snow! 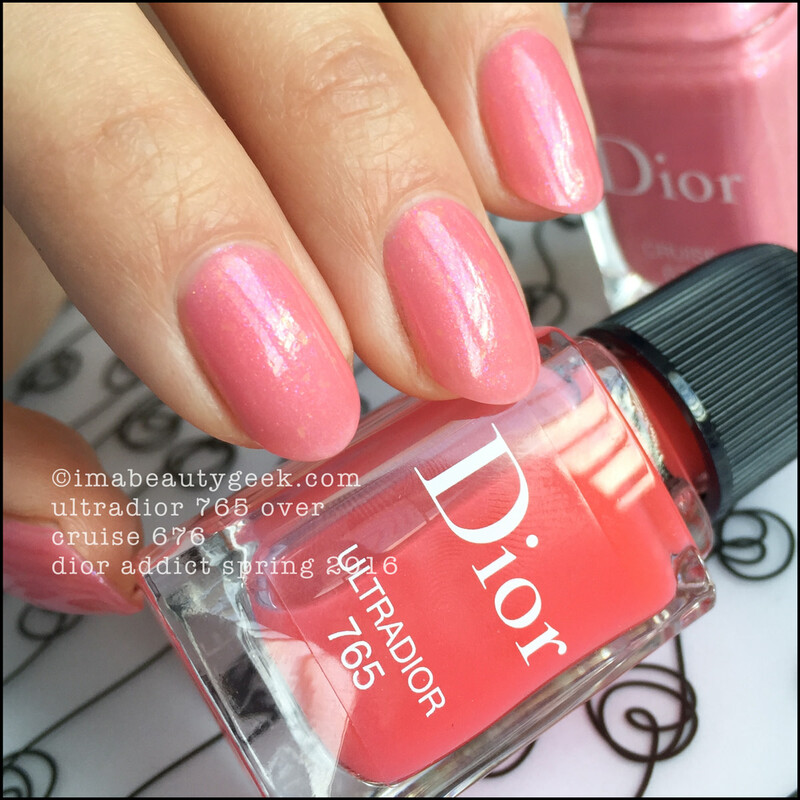 It’s the Dior Addict Vernis for Spring 2016! And it’s not a pastel! Yay! 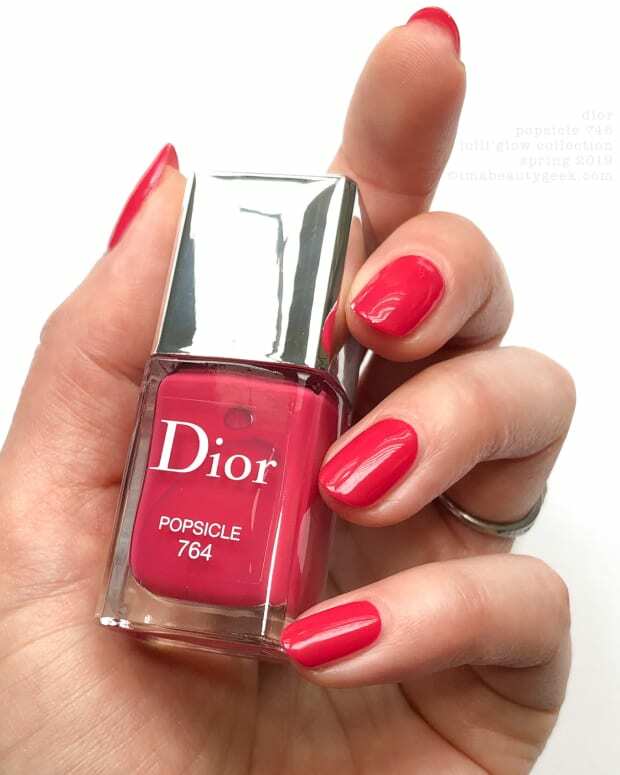 You probably know by now that I’m a fan of Dior polishes, right? The brush in these bottles makes me so very happy. It’s a plush paddle that holds product and distributes it evenly in just two or three swipes per nail. 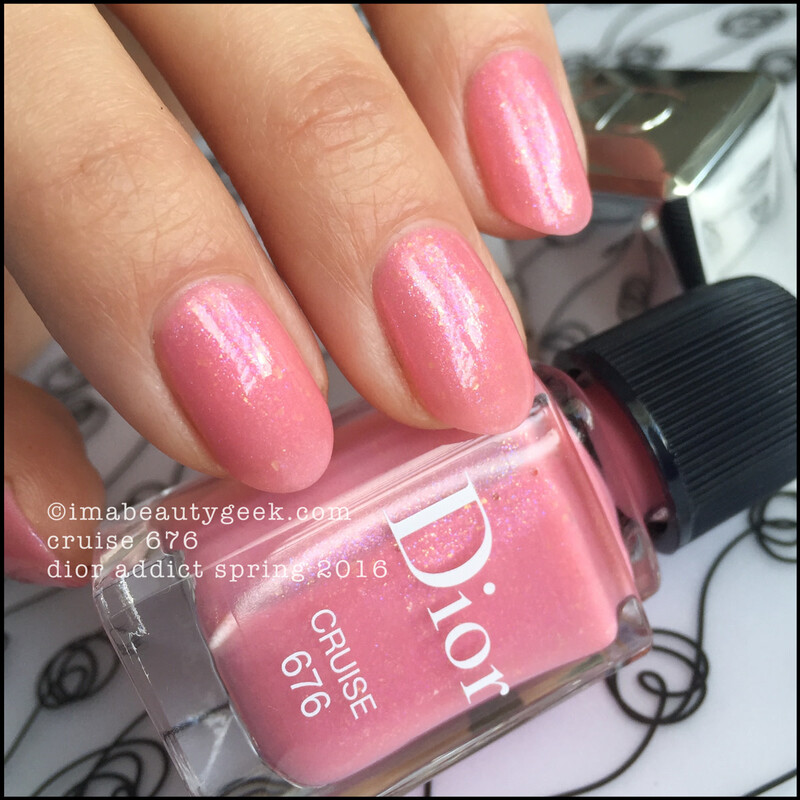 Dior Cruise 676 – Dior Addict Vernis Spring 2016 (above) is a somewhat sheer, flecky pink confection with lots of little bits that reflect blue and lilac. There’s a lot of stuff in this bottle, but the end result on the nail is somehow simple and sophisticated. It’s weird to say that glitter is sophisticated, but really it is. Simple and pretty in two magnificently effortless coats. 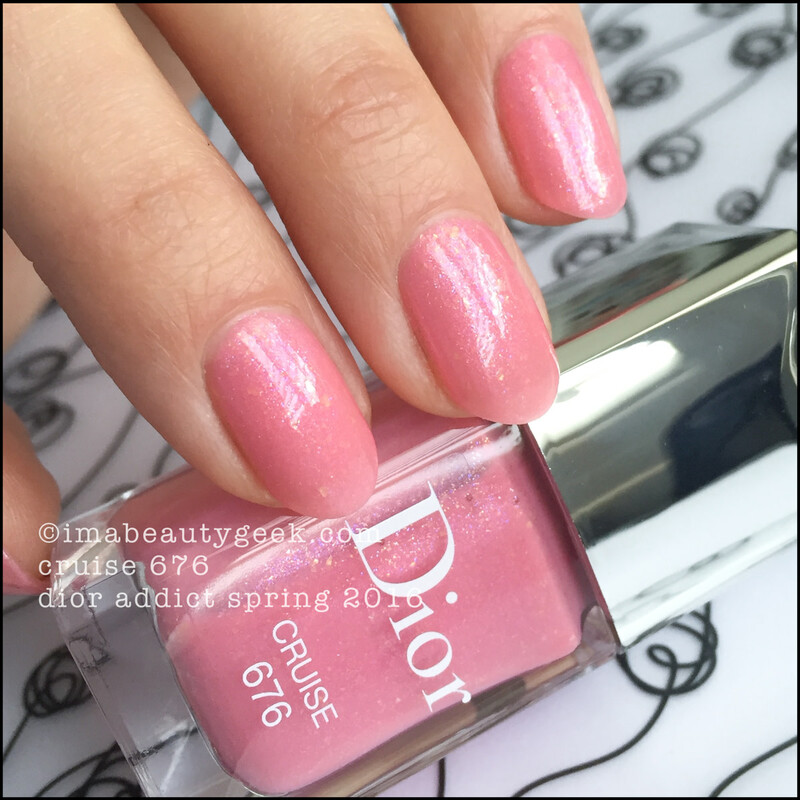 Dior Cruise 676 – Dior Addict Vernis Spring 2016 (above). With a touch more sunlight, the golden flecks and those little iridescent bits really come out to play. 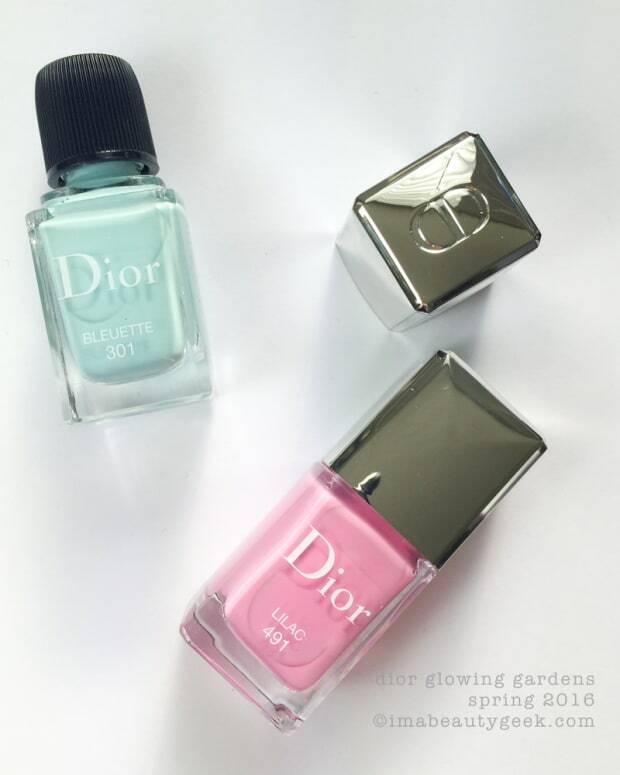 Dior Vernis Cruise 676 - Spring 2016 (above). I don’t generally love macro shots of polish simply because I never, ever, ever look at my own nails this close, but with this shade, I think you should see what went into it. She’s loaded with stuffs! 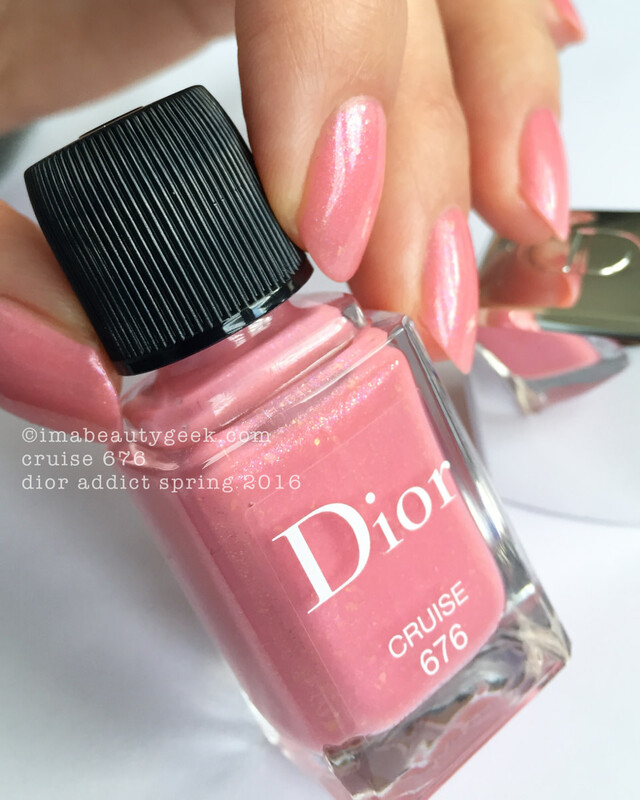 Dior Ultradior 765 over Dior Cruise 676 (above). 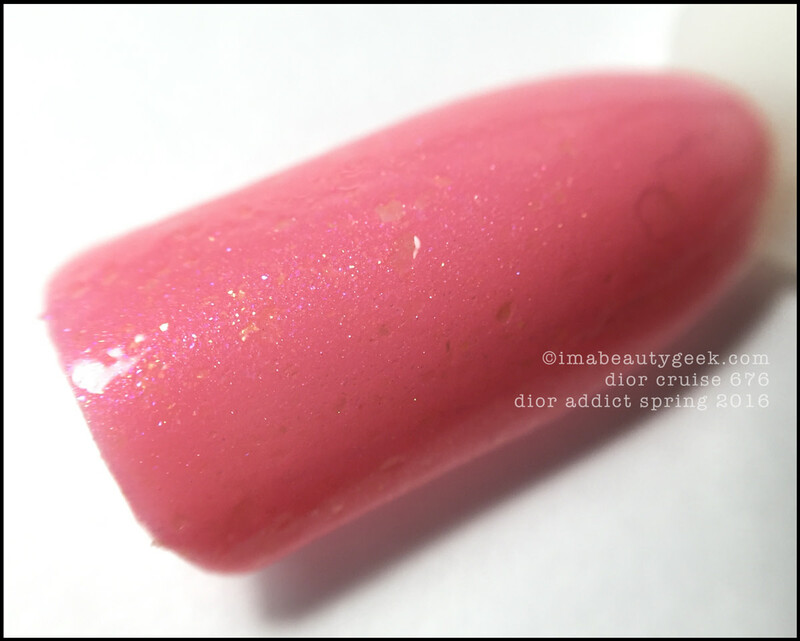 And this is one coat of Ultradior Vernis over my two coats of Cruise. 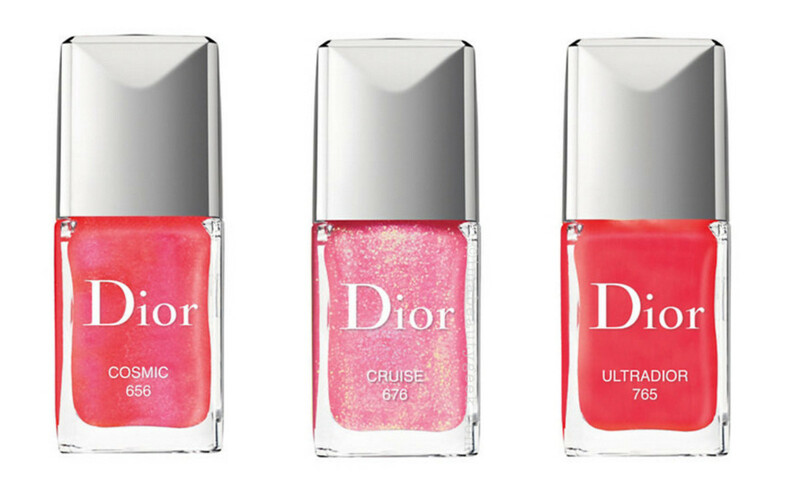 Ultradior is a beautifully tinted coral-pink sheer jelly that elevates the pink in a supremely charming way. And you know I ain’t no fan of jelly. There is a third shade I didn’t manage to get my digits in and it’s called Cosmic 656. I’m terrifically sad it didn’t land on my desk, but if it ever does, I&apos;ll keep you posted. Oh! 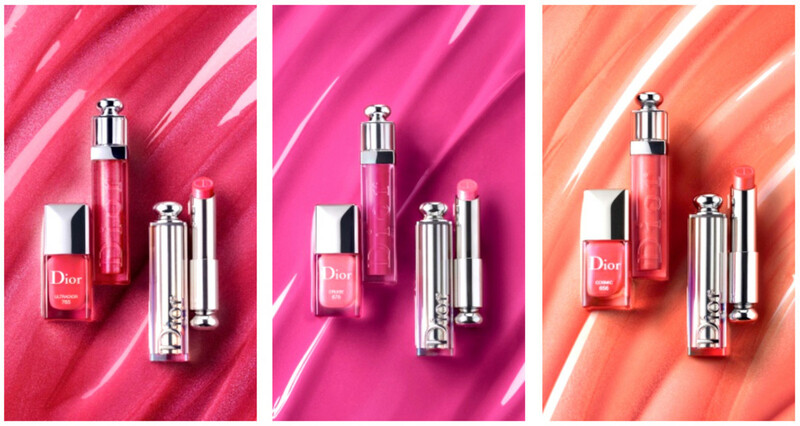 And maybe you’d like to know the Spring 2016 Dior Addict lineup is three trios of matching Ultra Gloss, Lipstick, and Vernis? Finally it’s something that lands firmly outside the overdone spring 2016 pastel box. Thank you, Dior. I am grateful. Manicures & photographs Karen Falcon (she wonders how you feel about the macro shots).